Chinese New Year, Lunar New Year or Spring Festival is now embraced around the world and this year will be celebrated on Saturday 28th January. So as the year of the rooster approaches we thought we would catch up Paul Mathew for some inspiring celebratory cocktails that you can serve in your bar during the occasion. Spring Festival is traditionally a family affair, a time for returning home, taking stock and catching up. It is also a time of preparation for the coming year – bringing wishes of good fortune, health and happiness, marked with red envelopes, paper decorations and reaffirming idioms. Food and drink are an important part of this and eating certain dishes will convey blessings for the coming year: make unbroken noodles for longevity, share mandarin oranges for luck and steam fresh dumplings for wealth for example. Dragon and lion dances, exploding firecrackers and shrieking rockets are used to ward off malicious spirits for another year, houses are cleaned of bad luck in preparation and gifts are exchanged. Bartenders will be creating New Year-inspired drinks for menus across Asia to tempt the festival parties, so why not embrace this opportunity for a little creativity wherever you’re based. 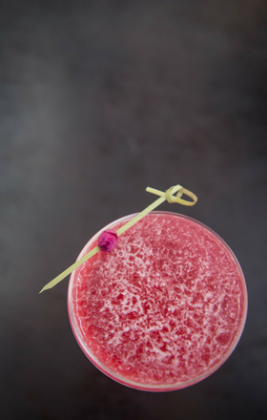 This could take the form of very Chinese ingredients such as tea (try exploring some of the more unusual flower teas such as osmanthus, or fermented green teas for subtly different flavours that are increasingly finding favour in experimental cocktail bars). You could also use fruits (longan, jujube, pomelo, or kumquat all have their own New Year associations for example), or even Chinese baijiu or a honey-scented rice wine as the base spirit. Alternatively, you could seek inspiration in Chinese vessels or garnishes. I have found traditional gaiwan tea cups to be great for cocktail serves as the lid allows you to trap scents or smoke to add a little theatre, while in some parts of China, infused wines are served from lengths of bamboo. At our bars, we have also used traditional stamps to press designs on to rice paper with dark bitters providing the ‘ink’ (a cockerel would seem appropriate), or perhaps you could use these ‘chops’, traditionally used for wax seals, to imprint clear ice blocks with the traditional New Year characters for prosperity instead. Shake the ingredients over ice, fine strain into a coupette glass. 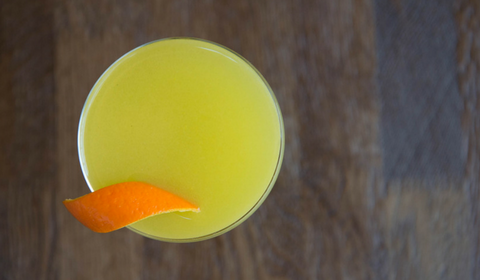 Garnish with an orange or mandarin peel twist. Cotton candy is a common feature of Spring Festival temple fairs. This drink incorporates that into the serve, along with a traditional teacup. Shake all the ingredients over ice and strain into a teacup. 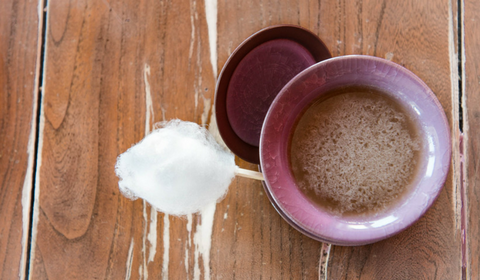 Serve with cotton candy on the side, which can also be dissolved in the drink for extra sweetness. * to make 1L of syrup, mix 350g cleaned, chopped fresh ginger with 900ml cold water, slowly bring to the boil and simmer for five minutes. Take off the heat and add 1kg sugar and 10 sticks of lemongrass (slightly crushed). Stir to dissolve the sugar, and leave until cool. Strain, bottle and refrigerate. ** add slices of fresh ginger to caster sugar for 24 hours. Remove ginger and use sugar in a small candyfloss machine. Alternatively use shop-bought candyfloss. Hong bao are the red envelopes used for gifts of money throughout the year, but are especially common at Spring Festival when they can be seen adorning the walls of temples. The red colour is said to ward off evil spirits and symbolise good luck. Dried rose flowers to garnish. Shake all the ingredients with ice and strain into a coupette glass. Garnish with dried roses and a lemon zest (discard after use). *To make 1L syrup, heat 1L water with 1kg white sugar and 10-12 dry hibiscus flowers until boiling. Take off the heat and add a handful of tea-grade dried rosebuds (30-40 small buds). Leave to cool, then strain and bottle. Paul Mathew is one of the owners of The Hide Bar, The Arbitrager and Demon, Wise & Partners in London. 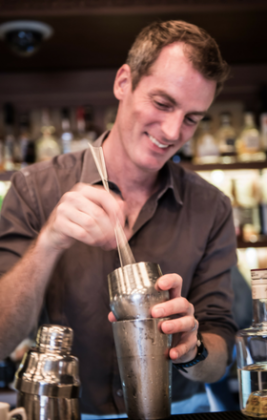 He has spent seven years working in the drinks industry in Asia, including four in China. It's the start of a New Year and it’s time to look ahead to the biggest cocktail and mixology trends for 2017! 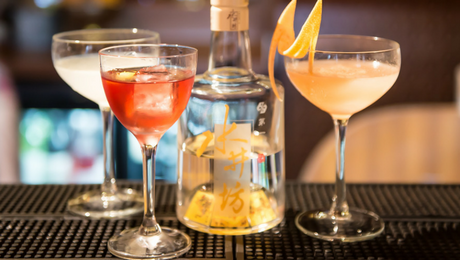 Learn more about China’s national drink and how to use it in your cocktails!